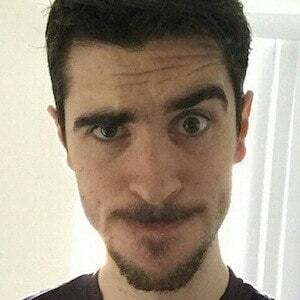 Comedic video game commentator whose self-titled channel features Gmod Sandbox Funny Moments, vlogs, simulators, and animation. He has earned over 6 million subscribers. He created his highly popular channel on January 16th, 2012. He became a partner with Machinima. He was inspired to make YouTube videos by his friend Michael. His real name is David. He dated a girl known as jac.cheese and jacsstyle on social media. He has a brother named Aindreas. He published a video blog where he met Lui Calibre and Jonna Mae at the San Diego Zoo in April of 2014.